Short Description TecnosWorld is an advertising platform founded in December 2012, which already boasts an international experience that puts professionalism in everything, we have more than 1.000 customers who work with us on a daily basis so that we can improve and enhance the development of our company. Our team consists of several years of online marketing experience working with Advertisers, Publishers, and other affiliate networks. TecnosWorld was created under the vision to provide advertisers and other publishers a top tier experience and unparalleled affiliate support. Today online marketing is challenging, especially with so many new Networks and offers appearing daily. At TecnosWorld we strive to be the best and provide the best service for our affiliates. Short Description Expertmobi is one of the largest international affiliate programs focused on the mobile traffic, subscriptions, Android and IOS installs. Short Description ADWOOL is an international CPA network that specializes in providing performance based Online Marketing for Advertisers and Publishers. We have highly converting offers for multiple geos, private offers from direct advertisers, real-time analytics and 24/7 personal support. If you have mobile traffic - join us and we will find high-converting offers relevant to your traffci type (OS, geo, type of advertising). If you have a product to promote - our huge base of trusted publishers will supply well targeted and optimized traffic for your product according to your requirements. Short Description zanox is the leading performance advertising network in Europe. 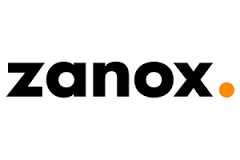 Together with our partner companies, Affiliate Window and eprofessional, zanox supports more than 4,300 international advertisers in the effective marketing of products and services on the internet. 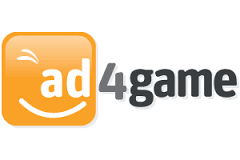 Short Description Ad4Game connects you with hundreds of gaming companies including premium brands like Electronic Arts, Disney, Supercell, Ubisoft, Sony etc.. that are looking to reach players accross iOS and Android devices. Short Description At affilinet, we provide our clients with high-performance solutions that help them achieve their affiliate marketing objectives. With over 3,500 advertisers and 500,000 publishers throughout the UK, Germany, France, Spain, Austria, Switzerland and the Netherlands, we’re one of Europe’s leaders in affiliate marketing. We help our clients create long-term growth that is both profitable and sustainable, providing the tools and services needed to monitor and refine activity. Short Description CPA offers and CPI Mobile App Install offers are ranked on their lead generation performance. CPA Lead generation and mobile advertising network has received numerous awards which include the NPGA's 2012 international "Hottest Company Of The Year" award, mThink Blue Book's top networks of the year, and recognition from Inc.
Short Description brick&mobile specializes in helping people build and grow successful mobile businesses from the ground up. Powering over 8,000 mobile marketing businesses in over 30 countries around the world, brick&mobile’s proven strategies, training, workshops and marketing platforms deliver cost-effective solutions that are easy to launch, maintain and scale. Short Description belboon is one of the three leading affiliate marketing networks in the German market. There are 1800 programs on the network as well as publishers from 50 counties. belboon generates over one and a half million transactions every month. belboon is particularly trusted by small and medium sized businesses and longtail advertisers who come to the affiliate network for their internationally experienced account management and market leading technology.